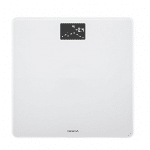 Smart bathroom scales are one of the best ways to keep track of your health and monitor your fitness goals. Most smart scales measure more than just weight. Scales we review also calculate body mass index (BMI), and some estimate body fat percentage, lean mass, water weight as well as other metrics. Many scales also have the ability to track and store data for more than one user and automatically sync your weight, along with other data to an app and/or website, keeping track of this data so you don’t have to.